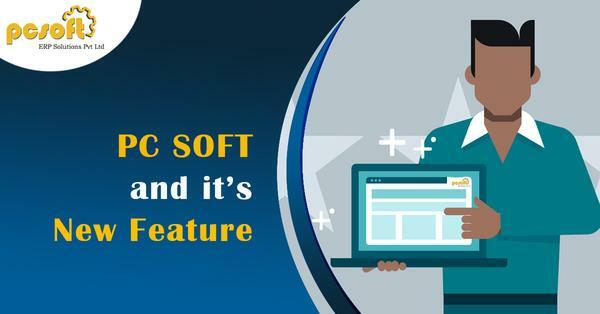 PC Soft and its new feature | PCSOFT ERP SOLUTIONS PVT. LTD. The constant changes in the technology encourage the firms of level up and match the competition of around us. A technologically incorporated firm is the one that could help their clients with all the latest digital trends and offer them the desired success and ease in the management. ERP for the manufacturing industry has worked wonders, whether it is warehouse management, a better human resource or a maximized productivity, ERP has been the reason to change the face of manufacturing industry. PC Soft has been on a progression with all the new features in store to offer our clients with. Want to know, what features? Let’s introduce them to you. The role of automation and ERP for the manufacturing industry is crucial and significant. We constantly witness the reduction in the errors along with the increase in the productivity. ERP for the manufacturing industry is best when it comes to the supply chain, every process gets efficient whether it is the reception of the materials, the production, the processes, storage of the finished goods, transport, or billing. PC Soft has intentionally crafted an ERP for the manufacturing system like Barcode automation to minimize the manual intervention and boost the productivity. Since every item present in the warehouse or sold has a unique identity it gets really easy to track and record the accurate data. It also gets easy to track this data down anytime and anywhere. ERP for the manufacturing industry helps you to automate and manages every process and activity in the warehouse with the higher efficiency. The process of production is the most crucial one and the implementation of the ERP for the manufacturing industry can help you ease this crucial process. Managing the logistics is prone to errors but the automation and the enterprise resource planning can reduce the errors to none. Using the ERP for the manufacturing industry can help you decrease the human intervention eventually decreasing the mistakes and improving the productivity. If you wish to be a pioneer in the manufacturing industry choosing PC Soft and its highly-featured ERP for the manufacturing industry will help you to meet your needs and grow in your field. The manufacturing industry has been gaining an extreme popularity in the recent times. Do you know why? It’s nothing else but the implementation of the automation and ERP for the manufacturing industry. The last year’s statistics said that the e-commerce sales have been increased by $105 billion right in the first quarter of the year. The B2B e-commerce sector is evolving day by day as more and more manufacturers, distributors and customers are entering this field and also finding it a reliable source to increase the trade and fulfill your needs. 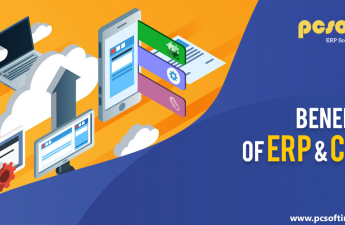 With the newly emerged e-commerce trends and increased business interaction, the sudden demand of the B2B-oriented e-commerce portal has been raised. ERP for the manufacturing industry has been successfully completing all the needs B2B e-commerce portal has. 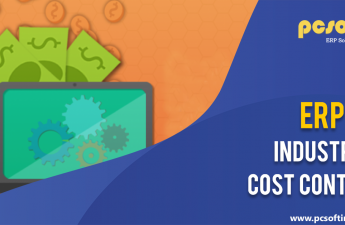 An efficient e-commerce portal and ERP for the manufacturing industry will help you make a significant growth scale impactfully to compete with the market needs. The integration of ERP for the manufacturing industry will leave your organization with improved and result-oriented efficiencies. People tend to use the e-commerce portal due to the offered services which are the result of ERP for the manufacturing industry. Online presence eventually increases the brand awareness. Implementation of the ERP for the manufacturing industries gives your organization the greatest gift of increased sales. The utilization of the ERP for the manufacturing industry helps you analyze all the sectors of the organization. B2B e-commerce portal offers the unique customer-centric experiences for the online shoppers. 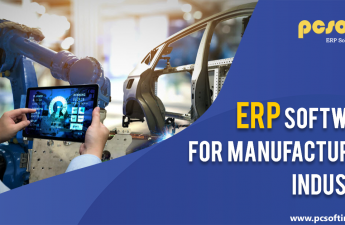 Using ERP for the manufacturing industry helps the customer to get the customer-centric products depending on the login-in details of the customers. With the ERP in the manufacturing industry, your sales team will also be aware of the things going on in the organization helping them to work more efficiently. This feature permits the site to go with co-branded B2B portals.